Homegrown lifestyle gaming brand Razer has proposed a listing on the Hong Kong stock exchange, of which net proceeds are estimated to be around HK$3,507 million, after deducting related expenses. Out of the proceeds, approximately 20% of net proceeds will be used for the company’s marketing and sales initiatives, a press statement read. These initiatives aim to broaden the appeal of the Razer brand and increase user awareness of its new products, including its virtual currency zGold, the virtual credits service and other products. Meanwhile, approximately 25% of net proceeds will be used to finance acquisitions that will aid in the company’s expansion. Approximately 20% of net proceeds will be used to expand Razer’s research and development capabilities and another 25% will be used to develop new verticals in the gaming and digital entertainment industry, including mobile devices. 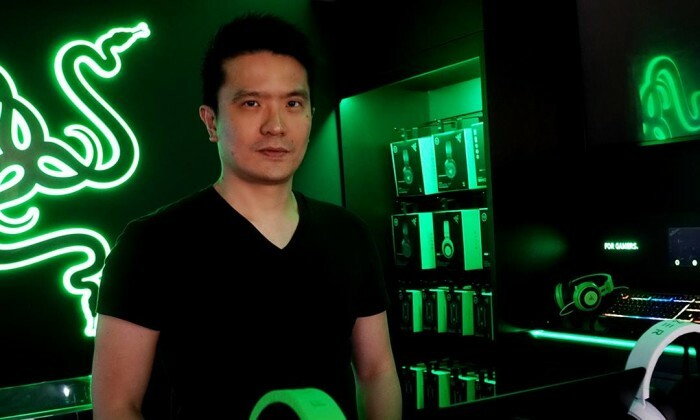 In September this year, CEO Min-Liang Tan (pictured) revealed to CNBC that Razer has plans to develop a mobile device focused on gaming and entertainment. This followed its acquisition of Nextbit, a smartphone developer, in January this year. According to a press statement, the company is currently in the final development stages of its first mobile device and is targeting to launch it in the fourth quarter of 2017. This will initially be in the United States and Europe. “Razer has also been exploring the mobile devices market for some time and believes there are substantial areas of innovation and opportunities for disruption of the existing mobile devices market category,” the statement read. In June this year, Razer acquired a minority stake of 19.9% in Malaysian e-payment platform MOL Global, Inc. According to the press statement, the strategic investment by Razer gives MOL an “implied valuation” of US$100 million, and is expected to help both companies to work towards the goal of establishing zGold. This will be the de facto virtual currency for gamers worldwide. Razer’s spokesperson said all of MOL’s marketing collaterals in Southeast Asia will be “rebranded progressively” to reflect the new brand logo of zGold-MOLPoints. This includes payment gateways and prepaid cards. The company currently has a global footprint with nine offices worldwide. It was founded in 2005 and is currently dual-headquartered in San Francisco and Singapore. Razer is also backed by investors such as IDG-Accel, Intel Capital and Horizons Ventures.